We visit Hauser and Wirth Gallery, Sci-Arc, Blooms Square, Warner Brother’s Music, some of L.A.’s best restaurants and many more surprising locations. 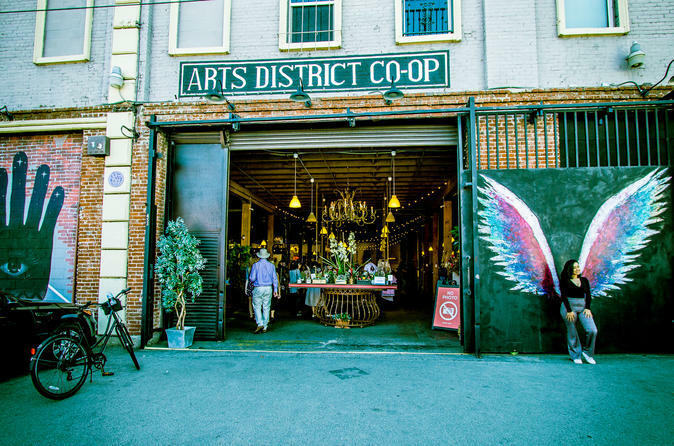 You’ll hear about the origins, history and current status of The Art’s District and it’s storied denizens. This ride takes place primarily on streets, some with bike lanes, and is great for those wishing to explore a little more off the beaten path of DTLA. This tour has 2 off bike breaks, and covers approximately 6 miles/10K.